Tactilus® foot insole sensors are the smallest and lightest insole sensors on the market. From its tiny transmitter the battery operated unit allows the user to travel up to 30 feet from the recording laptop. 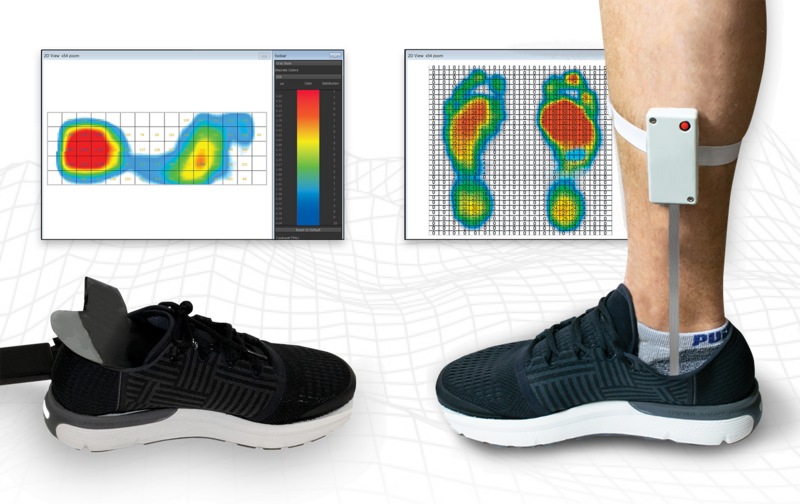 Tactilus® foot insole draws on decades of plantar foot pressure analysis and sensor design providing the customer with an extremely durable yet highly sensitive sensor device. Sensor Products' involvement with your foot insole sensor doesn't end with sending you the system. We offer an extensive capability of customization and on-site and remote training and support. Our one year of free customer support sets us apart from our competitors in a dramatic way. Tactilus® software is both extremely easy to use but also very powerful allowing the user to assimilate a tremendous amount of data captured from the sensors into easy to interpret and digest 2D and 3D pseudocolored representations, complimented by an extensive suite of statistical and mathematical data. Our sophisticated algorithms provide powerful smoothing and filtering capabilities and our thresholding features allow the user to hone in on particular regions of interest and high or low pressure zones.